Abstract - In this paper, we carry out a performance evaluation of multiple-input multiple-output (MIMO) and Hybrid automatic repeat request (HARQ) techniques for single-carrier frequency division multiple access (SCFDMA) of the LTE uplink system. Different MIMO schemes such as single-antenna port (SISO or SIMO), transmit diversity (TD) and spatial multiplexing (SM) are described and simulated. In this paper, we propose an advanced soft combining method of HARQ transmissions which is called linear minimum square error soft combining (LMMSE-SC). In this method, the LMMSE equalizer operates jointly the spatial diversity provided by MIMO technique and the temporal diversity provided by the HARQ retransmissions. Simulation results show that the proposed method improves the performance of HARQ with chase combining technique compared to the classical method of combination. Abstract - Polar coded grayscale image communication over additive white Gaussian noise (AWGN) channels using orthogonal frequency division multiplexing (OFDM) system is demonstrated in this paper. The OFDM technique is effective multicarrier technique used in the high-speed transmission system. Polar codes are recently applied to the binary memoryless channel and binary erasure channels for achieving near to Shannon channel capacity. However, besides these two channels, the analysis of polar codes over other channels is still open to scrutiny. The additive white Gaussian noise (AWGN) channel is evaluated by transmitting still images through M-ary QAM modulated OFDM system using polar codes. By comparing with the Bose – Chaudhuri – Hocquenghem (BCH) codes in the same scenario, our results suggest that polar codes have better performance than that of BCH codes. We introduce the polar coded adaptive modulation OFDM system in which the modulation order of QAM is selected in accordance with the channel conditions and channel BER upper threshold value. The result shows that better spectral bandwidth utilization can be achieved by adapting the order of modulation in the polar coded OFDM system. We also concatenate the BCH code with polar code in same scenario using fixed 64-QAM modulation scheme. The obtained results confirm improvement in the behavior of channel BER and visual quality of transmitted images for the entire range of channel Eb/No in comparison to use of polar codes. Overall, it is concluded that polar codes are a good selection for wireless image communication. Abstract - This paper outlines and stresses the importance of encouraging and embarking on pilot projects before large scale deployment of Information and Communication Technologies (ICTs) in the educational sector of Ghana, specifically in Polytechnics. Through a review of relevant literature, the paper targets and focuses on how Polytechnics in Ghana can plan and execute piloting procedures of ICT projects before large scale deployment. 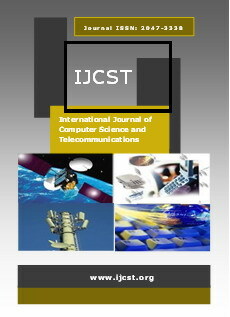 Furthermore, using a proposed system-wide approach, the paper provides a guide on how Polytechnics in Ghana can interpret information from ICT pilot project experiences to aid decision making processes (whether to execute large scale deployment or not) and plan procedures for effective deployment of large scale ICTs. Abstract - In this paper, we have introduced error-correcting and coding techniques for the binary data that can be derived from the real-number and complex-number fields, infrequency domain. We have implemented our proposed system utilizing digital signal processing methods in order to be operated by the normally available standard programmable digital signal processors. This paper also explains the application of OFDM in our system, operating over a Gaussian, Rician and Rayleigh fading channel with the help of MATLAB simulation. In the course of working with our proposed system and its corresponding simulations, we compared the results obtained by the Bit Error Rates (BER) under variable conditions with other efficient systems using various plots, graphs and diagrams. Abstract - Home network is very challenging to manage because of the complexity of underlying infrastructure. Network’s underlying complexity is either hidden or exposed by the existing network interfaces, but the visible information is not necessarily helpful for the user to complete the desired tasks. However, underlying network and protocols can be redesigned as a result of advances in software defined networking. As a result of these advances, the designers can move the complexity of the network infrastructure from the user and can also eliminate it entirely. This paper focuses on what can be made visible to the user in the modern home network infrastructure design, performance and some of the policies. We also examine whether changing the underlying network infrastructure without affecting the previous functionality should cause us to refine these choices. Abstract - This paper describes the development of a capture and image processing system for a moving mechanism so that it becomes capable of identifying still signboards, human gestures and texts. This research presents a preliminary approach to perform any type of image processing task in MATLAB and then interfacing it with serial port to the microcontroller. The PIC 16F877A has been used for controlling the robot motion. Even though this attempt is aimed at gesture following, the research opens up possibilities for many other algorithms related to signal and image processing that can be implemented using the same low cost hardware.